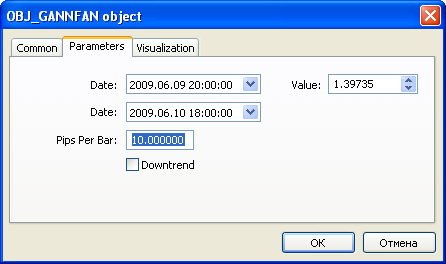 For Gann Fan (OBJ_GANNFAN) and Gann Grid (OBJ_GANNGRID) objects you can specify two values of the ENUM_GANN_DIRECTION enumeration that sets the trend direction. scale - required scale in units of Pips/Bar. //--- How many bars are shown in the chart?